Whether you’re involved in a minor fender bender or a multi-car collision, automotive accidents can be overwhelming, disorienting, and even scary. When you experience the shock of an accident, you need to know how to respond in order to start recovering. In addition to any medical or financial concerns you may have after an accident, you will also likely have to deal with damage to your vehicle. Serious car damage can affect your commute, family schedule, and overall mobility so you’ll want to address the issue as efficiently as possible. In this blog, we list the six primary steps you’ll need to take to restore your car. The first step to address damage done to your vehicle is to submit an insurance claim. You should call your insurance company on the day of the accident as soon as law enforcement has been called and any medical needs have been handled. It can take some time for car accident claims to be approved, so you’ll want to begin the process immediately. A prompt claim submission also ensures that you pay fewer overall costs out of pocket. While at the scene of the accident, you should also document the damage to your vehicle as thoroughly as possible. Use your phone or a camera to take pictures of all visible damage, including dents and dings. If you do not have a way to take pictures, write down all the changes you can see. This documentation can expedite the insurance claim process. Additionally, documentation allows you to differentiate between damage done during the accident and any damage that happens while your car is on the side of the road, being towed, or being stored in an impound lot. Once you have notified your insurance company and documented the damage, you must figure out how to get your car to a safe location. If the damage does not affect your ability to drive the vehicle, you may be able to return home and have the car picked up from there. If you cannot drive the car, you’ll need to have it towed. Your insurance company may recommend or even send a towing company to collect the car. If your insurer does not recommend a towing company, look for a reputable local company so you won’t be responsible for the costs of a long tow. If possible, work with an automotive company that provides both towing and repairs to consolidate costs. Have your vehicle inspected as soon as possible after an accident. This inspection will determine whether or not your insurance company considers the car totaled or not. As with a towing provider, your insurance company may recommend an auto body shop to handle the inspection or you may choose a trusted shop yourself. Once you have an inspection performed, the automotive professional can provide you with an overview of the repairs needed and an estimate, as we’ll discuss in the next section. Once an inspection is complete, your insurance company decides what they will or will not cover. Usually, insurers offer a monetary amount rather than a blank check to cover certain specified repairs. 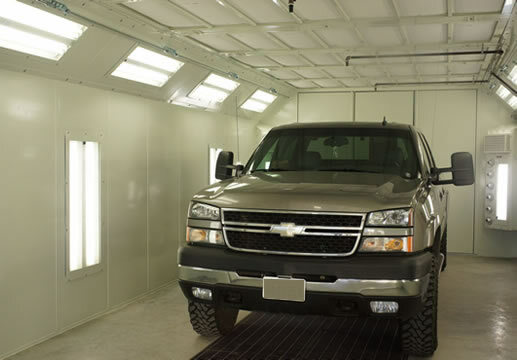 Getting a complete estimate from your chosen auto body shop allows you to decide how best to use the insurance money. For example, while you may need to have major repairs covered immediately, you may decide to use some of the settlement to pay for a rental car and to have paint defects repaired later. It’s important to note that if your car is totaled or if another driver was at fault in the accident, your insurance or the other driver’s insurance company may cover the cost of a rental. However, these settlements may take time to process so you may need to pay out of pocket initially and report your spending for reimbursement at a later date. The final step in this process is obviously to have the repairs completed by a trusted automotive expert. Remember, you should have collision repairs made by a mechanics team that specializes in crash damage to ensure the highest quality craftsmanship. You may decide to get estimates from multiple shops if the shop that completed your inspection doesn’t have relevant collision repairs experience. Work closely with your repair shop. Some shops offer services that can help you during the time period when you don’t have access to your car. For example, at Chehalis Collision Center, we run a complimentary shuttle during the day, provide insurance assistance, and help clients rent cars through reputable rental companies. If you’ve experienced a collision, don’t wait to start repairing the property damage caused by the accident. The road to recovery starts with returning your vehicle to a safe, reliable, and fully restored condition.